Listed below are weights for all the participants in CES MMA NY, scheduled for Friday, May 4th, 2018at The Space at Westbury Theater. 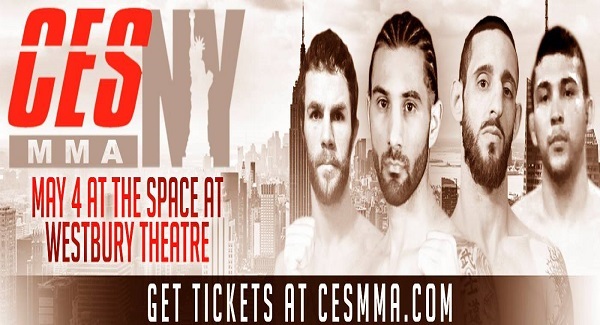 Tickets for “CES MMA NY” are priced at $100.00, $115.00, $175.00 and $200.00 (VIP) and can be purchased online at www.cesmma.com. All fights and fighters are subject to change.